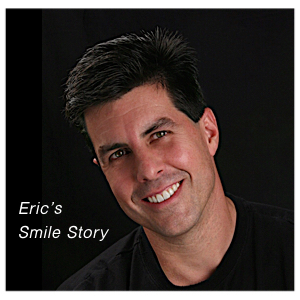 Your smile redesign can have dramatic effects. Dr. Klim uses aesthetic biofunctional/neuromuscular technology to help clients look and feel younger. A redesigned smile can improve facial lines and decrease the tension that leads to sore neck and jaw muscles. Clients experience the net benefits of a facelift without surgery. Accelerated wear and tear on teeth and a sagging lower face has been thought to be an irreversible part of aging. These effects can decrease the quality of one’s social and functional life. When a person starts to hide their smile, have discomfort when chewing, awake in the morning with sore jaw and neck muscles, and have an increasing occurrence of headaches, rest assured, there are ways to reverse many of these effects. Dr. Klim uses biofunctional technology to solve many facial aging issues. Aesthetic biofunctional dentistry goes beyond beauty to the teeth. The biofunctional/neuromuscular dentistry approach to aesthetics can predictably lengthen the lower face, improve the facial lines between the cheek bones and chin, and decrease facial muscle tension which has a residual lifting effect on the surrounding tissues and muscles of the eyes. In other words, the client can experience many net effects of a facelift without surgery just by paying attention to muscle happiness. Michael (above) now enjoys the comfort of happy facial muscles, relaxed eye muscles, and his friends say he looks years younger… thanks to biofunctional aesthetics and Dr. Klim. The first phase for the biofunctional/neuromuscular comprehensive approach is a thorough workup. This is accomplished by assessing the head and jaw posture and the aesthetic length of the lower face with a computerized diagnosis using CBCT imaging, Transcutaneous Electrical Neural Stimulation (TENS), Electromyography (EMG), and a Sonography reading of the jaw joints. These instruments have been used for years in medical specialties and are now being used in dentistry to measure for aesthetic rehabilitation and postural dysfunction of the jaw. When the biofunction of jaw movement and the bite relationship of the teeth are working in harmony, the attractive features of the face can dramatically be enhanced, as well as the smile. Before: Tired facial muscles, head pain, droopy eyes, shortened lower face… before lower jaw realignment. After: Happy facial muscles, head pain gone, alert eyes, aesthetic lengthening of lower face after lower jaw alignment, NON-SURGICAL. Once the aesthetic biofunctional/neuromuscular workup is completed, an end point resolution is determined. With some clients, it may be as simple as adjusting the bite and whitening the teeth with advanced laser whitening. Clients with more advanced facial-dental issues such as tooth misalignment or excessive wear and tear may choose orthodontics and/or aesthetic reconstruction using high-tech ceramic and zirconia procedures to rebuild the teeth in a balanced bite position. There are several cases in particular illustrated in Dr Klim’s aesthetic case study portfolio that demonstrate the dramatic effects that neuromuscular dentistry can have. Case #1: Bob is now happy to report to the set, with his best feature outstanding. As he said to me, “This physical improvement is one of the best things I have done for myself. I am so happy I did it.” Others say he looks fifteen years younger. I will have to agree. Happy facial muscles, head pain gone, ringing in the ears gone, alert eyes, aesthetic lengthening of lower face, new smile…after lower jaw alignment, NON-SURGICAL. People are saying Bob looks 15 years younger. I think they are right! Case #2: Lisa’s case received 1st place and People’s Choice Award for 2002 at the Smile Gallery Contest with the American Academy of Cosmetic Dentistry-Honolulu, HI. After having several smile cosmetic procedures done in the past few years, she still felt there was more that could be done to enhance her smile. After a thorough evaluation in Dr. Klim’s office, it was discovered that she also had other problems that could be associated with her bite-tension headaches and neck pain. She had been told in the past that this was a normal part of aging and that she would have to adjust. Case #3: The next illustration is Michael. His new smile and heightened happiness is dramatically demonstrated in the before and after smile photos. Yet, the greatest benefit expressed by Michael with the completion of his work has been the relief of head, jaw-joint and neck pain that had been plaguing him for years. Having been an intelligent health care consumer, Michael had spent several years looking for answers with his bite and head pain. He placed the final solution on hold when it was recommended that he surgically reposition his lower jaw and bite to improve the symmetry of his lower face. So, Michael put any further rehabilitation on hold until he came across aesthetic neuromuscular dentistry. Case #4: Beverly really illustrates the aesthetic improvement of the face when the skeletal muscle relationship is brought into postural balance.